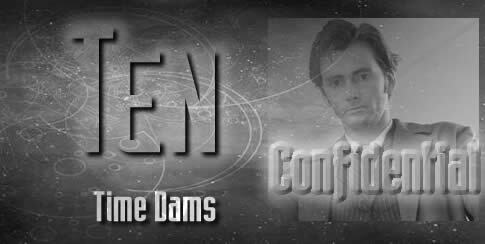 Time Dams is a Doctor Lite story – Love and Monsters/Blink – there is a precedence, of course. A story without The Doctor, allowing other characters to have their day. This is Wyn and Jamie’s finest hour. The morning sequence with the futuristic view of London, and apartment living, with the coffee dispenser and atomic disposal system was fun to describe. So was the Skyke. The name was derived from the word Skype, which is an internet voice communication system that I sometimes use. The word was in my peripheral vision down on the status bar of the computer as I was writing and it sounded right. Gravtrikes, seemed like a good idea for getting around Barcelona. Why Barcelona? To spite somebody I had briefly met on the afternoon that I started writing this story. Barcelona, is the capital city of Catalonia, a region of Spain that has long tried to claim cultural of not political autonomy. SOME Spanish people seem to resent that aspiration and can be very nasty about Catalonians. I happened to meet one and decided that I would like to include Barcelona in a story, somehow. Of course, Barcelona is a word that makes Doctor Who fans weepy. We still remember it in the final moments of The Parting of the Ways. This is a healing experience for us, a view of Barcelona that doesn’t hurt so much. The Cathedral of Le Seu, featured in that part of the story, isn’t actually the one I was thinking of. 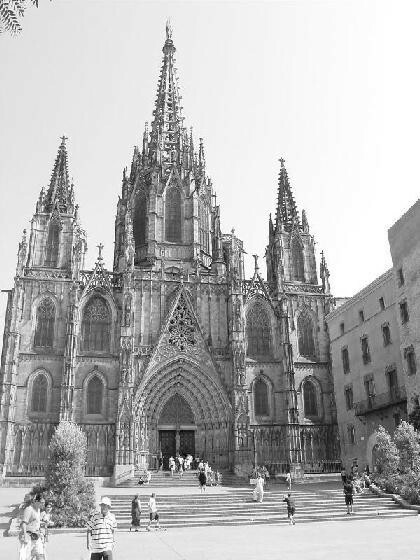 Of course, I had in mind the one with all the tall spires, designed by Gaudi, etc. Silly of me to imagine that a city like that would only have one Cathedral. Even Liverpool has two! Le Seu, in fact, was the more interesting one for the storyline, being so much older. Time rips, of course, are something we’re familiar with after the first series of Torchwood. Ironic that it is the time agency that Jack Harkness left that is dealing with them in the 51st century. 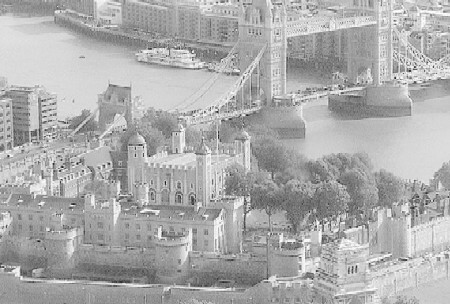 I based the agency in The Tower of London, formally the home of U.N.I.T. in Doctor Who mythology. But planet Earth is a united world, now – a federation with even the smallest country having its say in the affairs of Humanity. But everything couldn’t be absolutely perfect. Jamie experiences prejudice because she is an alien, and at least some of the time, a woman. Some things never change. And so to the heart of the problem – the time dams going awry. And the problem begins in Paris, in the Eiffel Tower. The sequences of the tower building and unbuilding itself lays to rest a bit of a childhood nightmare I used to have ever since I first saw a picture of Blackpool Tower half built, without its familiar top. 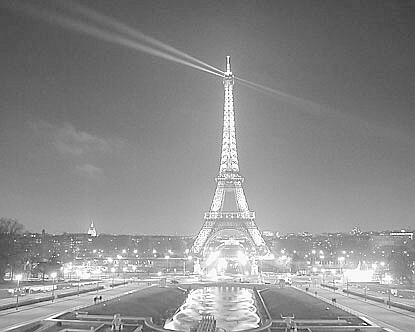 I used to dream about being up the tower and finding it unfinished, and falling from it. A variation on the stock ‘falling’ dream. I transferred the idea to the Eiffel Tower and elaborated it a bit, so that we have Wyn and Jamie, with K9, racing to the top before there IS no top. And of course when they finally fall, that’s when The Doctor turns up and rescues them mid-drop, before going on to sort out Jamie’s boss. And Jamie decides she wants to see a bit more of a) the universe, b) Wyn c) The Doctor.